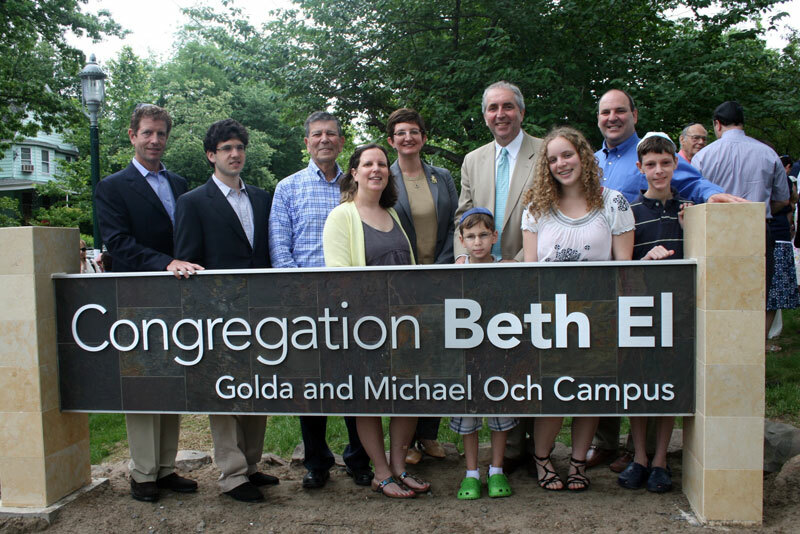 Members of Congregation Beth El in South Orange gathered June 5 to dedicate its campus in memory of Golda Och, who passed away in 2010 after a long illness, and her husband, Dr. Michael Och. The tribute to the Ochs, longtime champions of Jewish education and other causes, was made possible by a $2.5 million gift from their children, Daniel, Sue, and Jonathan, who grew up at Beth El, and their respective spouses, Jane Och, Brian Kalver, and Rita Och. 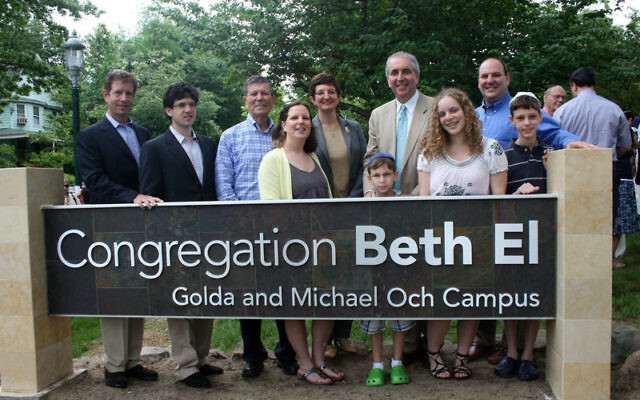 The Conservative congregation’s campus will now be known as the Golda and Michael Och Campus of Congregation Beth El. The gift was part of the congregation’s capital campaign for a renovation that is nearing completion. A portion of the gift, $750,000, was set up as a dollar-for-dollar matching challenge for other donors. The renovated building will be dedicated in December. The congregation joins the nearby Golda Och Academy in West Orange, formerly Solomon Schechter Day School of Essex and Union, in honoring her memory. The school was renamed last December after a $15 million challenge gift to the school from The Jane and Daniel Och Family Foundation. About 275 Beth El congregants and guests gathered in the sanctuary Sunday for the dedication ceremony. Daniel Och, who is chair and chief executive officer of Och-Ziff Capital Management Group, spoke for the siblings and their spouses at the event. Golda and Michael Och joined Beth El in 1971, shortly after Rabbi Jehiel Orenstein, now rabbi emeritus, took the helm of the synagogue. Golda and Orenstein had been friends first at Camp Ramah and later at the Jewish Theological Seminary, where she earned a degree in education and he earned rabbinical ordination. Golda spent much of her volunteer time founding, teaching at, and administering the Solomon Schechter Day School of Essex and Union. She was known at Beth El for routinely inviting every new congregant for Shabbat dinner. Joan Bucholtz, a longtime friend and former Beth El sisterhood president, remembered those invitations and more in her remarks at the dedication.